In today’s busy world, getting some time to spend with family is a great blessing and delight. If you are working parents or your children have to study a lot because of which you cannot find time for each other, you must keep on making plans for family get together in order to enjoy your life to the fullest. If you are planning to watch a movie with you family on this weekend, you can make it a lot more fun by following some simple instructions given in the following steps. First of all, you have to choose the right movie to watch. Picking the right movie is the most important steps to make your family movie night memorable. If you are unable to choose a right movie to watch, you can never enjoy your time with your family. It is not difficult to select a good movie. You just have to go with the flow. If you have children below the age of 10-12, you should prefer watching animated movies. On the other hand, if your children are above 12, you can watch any family drama or funny movie. You should never pick any movie which has vulgar scenes in it as it will make you and your family embarrass in the end. If you cannot decide which movie to watch, you can ask your family members. Make some snacks for the movie night. You should cook the favourite snacks of your children so that they may enjoy movie and you all have a pleasant time together. Furthermore, you can also make a cake for your family for the movie night. If you really want to enjoy the movie, you can dress up like the characters. For instance, if you are planning to watch ‘Spider-man’, you can wear spider-man costume to create an everlasting and memorable environment. However, if you cannot buy any costume, you can simply paint your cloths with the colours which somewhat matches any particular costume. 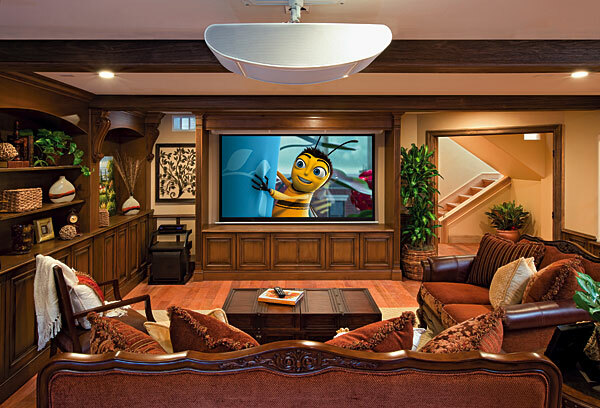 You can turn your living room into a theatre by making some slight changes in your surroundings. Keep the lights off and turn the volume up. Although, you will not get a perfect theatre experience, but it will at least be somewhat closer to that.